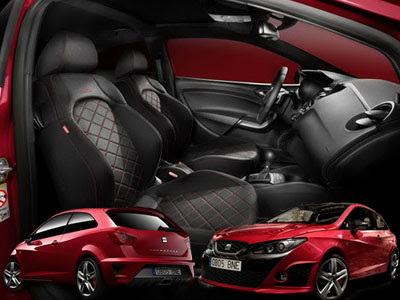 Seat Ibiza Bocanegra road ready version has been unveiled at the Barcelona International Motor Show with the debut of a road-ready version of its stunning Seat Ibiza Bocanegra. Staying remarkably true to the headline-grabbing Bocanegra concept car unveiled at the Geneva Motor Show a little over 12 months ago, the production version is today making its world debut at SEAT’s ‘home’ show.Seat Ibiza Bocanegra comes with a distinctive front fascia featuring a central grille with honeycomb mesh, black surround and new air vents, also completely black double headlights.The new SEAT Ibiza Bocanegra is a unique, exclusive vehicle that features an uncanny exterior design and a personalised interior, which has undergone major modifications compared to the rest of the range models. 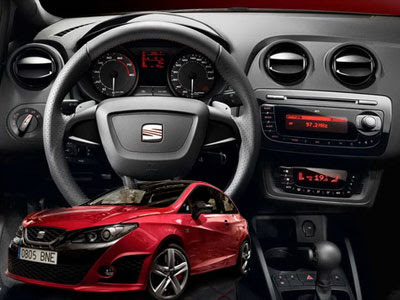 The main characteristic feature of the new SEAT Ibiza Bocanegra is found on the front of the car. As its name suggests, the imposing black volume at the front is reminiscent of a mask, which strengthens the stylishness of SEAT's new model.Boasting several unique, and dramatic, black styling elements at its nose – hence the Bocanegra name which translates as ‘black mouth’ in Spanish – the new iteration of today’s Ibiza is set to become one of the hottest superminis around. 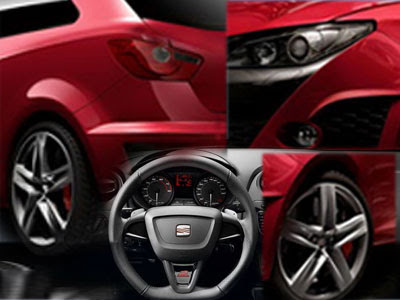 Other outstanding exterior elements are the door mirrors with their black housing, the sunroof and the attractive 17 inch "Sira" rims and low profile 215/40 R17 tyres. 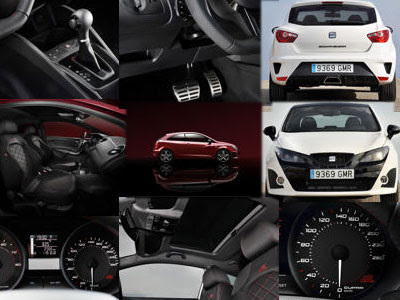 But what really identifies the personality of the Spanish brand's new car is the "Bocanegra" badge centred on the hatch door, a characteristic trait of SEAT's most exclusive versions.The new SEAT Ibiza Bocanegra will be available in the SEAT Ibiza FR and SEAT Ibiza CUPRA versions equipped with the twin charged 1.4 TSI engine, either with 150 or 180 hp output, This new generation engine guarantees both brilliant performance and exceptional economy. Featuring a broad equipment line-up including the self-blocking XDS system, which anticipates traction loss to the wheels and limits tractive force to the wheel expected to lose grip, ESP, TCS + EBA, ABS, Hill Hold Assist, low tyre pressure warning, driver and passenger airbag, head-chest airbag, sports suspension and cornering foglights.Meanwhile, XDS electronic limited slip differential and a state-of-the-art seven-speed DSG gearbox with steering wheel-mounted paddle shifts underline the Bocanegra’s hi-tech appeal. Welcoming the car’s dramatic show debut today Head of SEAT UK, Peter Wyhinny, said: ‘The surprise unveiling of Luc Donckerwolke’s brilliant design concept at Geneva last year caused a real buzz around the show, and I’m sure the appearance of this remarkable production version will do the same in Barcelona. 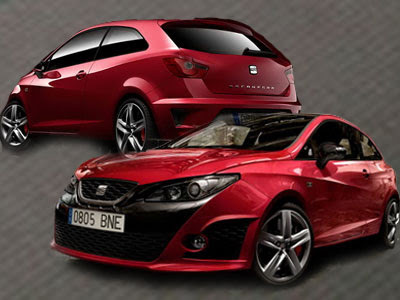 Seat Ibiza Bocanegra will hit the showrooms in British this year, while the price of Seat Ibiza Bocanegra has not been announced yet by the company.